Hi there! I’m Erin Peisach, your San Diego Nutritionist. It is nice to virtually meet you and I can’t wait to connect. Thank you for taking the time to visit my site and learn more about what I do and how I do it. 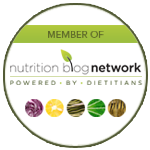 I am a Registered Dietitian Nutritionist (RDN) and owner of Nutrition by Erin, a virtual nutrition private practice serving clients suffering from gastrointestinal disorders. Specifically, I help those with IBS, IBD, SIBO, GERD/acid reflux, EoE, Celiac disease, and functional bowel disorders. I work with clients nationwide, but am based in sunny San Diego, CA. I regularly blog and post articles, videos, and recipes to help improve your gastrointestinal (GI) health. My content dives deep into various GI conditions and provides you with the nutrition and lifestyle action-items you can actually use. What sets me apart from the clutter of nutrition resources available online? More importantly, why should you care about any of the stuff that I have to say? I am completely obsessed with learning. I never stop and I don’t plan on stopping any time soon! My number one priority is knowing everything there is about the topics I care about. How do I soak it in? • Listening to podcasts and more! I promise to pass on all of the information I have accumulated into all of my online content. I promise to stay up to date on nutrition and health research. Most importantly, I promise that if I don’t know enough about a topic, I will do my homework and find out everything I need to know to better serve you. Compassion is defined in the dictionary as, “a sympathetic consciousness of others’ distress together with a desire to alleviate it.” It is one thing to be a knowledgeable and educated practitioner, and it is another thing to truly care about the people served. Better phrased, I care about you and I deeply care to help you feel better! Part of my compassion comes from my own health journey over the years. I know, firsthand, what it feels like to suffer from a number of health issues and not find sustainable solutions through conventional medicine. I know what it feels like to pop pills and see doctors and still feel just as lousy. The feeling often turns into hopeless after many years of suffering. I found my own health solutions through addressing my personal diet and lifestyle. Yes, I had to make those challenging shifts to achieve a better bill of health. And, I am here to help you do the same. But, you don’t have to do it on your own. I will hold your hand along the way and make sure you feel supported throughout the journey. Well, most of us value honesty, but I require this value to shine through all of the work I do. Businesses are after your money. Okay, you probably already knew that. However, it’s important to remember that not all online content, free or paid, will give you honest information. Sometimes, the truth just doesn’t sell. It doesn’t sound as appealing or catchy. “Lose 20lbs in 10 days” or “Never Get Sick Again in 3 Easy Steps” are just some of the headlines we see today. Just keep in mind that even a stretch of the truth is actually a lie. So, how will honesty play out into my work? I spend the time to research all of my content and recommendations. Outrageous claims? You won’t see that from me. I do not promote any fads and I am not here to “sell” you on things you don’t need. Whether you are reading my content or working with me as a paying client, I am here to report the truth at all times. If I don’t know the answer, I will honestly tell you that. If I am reporting on my opinion, I will honestly tell you that. I want you to feel confident that I only deliver accurate, reliable and truthful health information. I want to make sure you know you are in good hands. You now know a little more about my philosophy and style, but I also want you to know about my background and how I got here in the first place. Growing up I was a fitness/sports junkie and naturally fell into the world of Personal Training. I was an ACSM Certified Personal Trainer for 5 years and while I have not maintained my licensure, I still am passionate and dedicated to physical fitness. Activity is one of my favorite healing modalities! My Bachelors of Science (BS) is in Dietetics from the University of Maryland, College Park. Additionally, I completed my clinically-focused Dietetic Internship program through Johns Hopkins Bayview Medical Center in Baltimore, MD. Having had a wide variety of jobs as a Dietitian post graduation and starting my private practice at the end of 2014, I have experience with community nutrition education, corporate wellness, outpatient nutrition counseling, group-based nutrition programs, and even media outreach. Although I worked in Baltimore for a long time, I’m happy to say now that I’m a San Diego nutritionist and registered dietitian. My mission is to serve you. Once you connect to my free online content, you will understand my passion and commitment to that mission. I encourage you to sign up for my newsletter so you don’t miss out on any of my posts. I also serve you by being your personal nutrition coach. What does that mean exactly? Well, I work with clients one-on-one to improve their gastrointestinal health through nutrition and lifestyle changes. As your coach, we dive into your health concerns and create a step-by-step plan to improve them. I give you education, resources, tools, motivation, and encouragement along the way. Thank you for your interest in what I do and feel free to reach out to me personally, at any time. Find out the nutrition program best suited for you!